A campaign encouraging the UK public to pay their TV licences has won a group of Middlesex animation students a prestigious prize and national recognition. A team of aspiring Middlesex animators has received the Judges’ Award for a high-profile competition led by a TV Licensing initiative. The competition brief called for animated films bringing to life some of the most bizarre excuses television viewers have given for not paying their UK TV licence fee. Students from Middlesex, Derby, Dundee, Belfast and Bristol Universities took part in the competition, with a total of more than 40 films submitted. The judging panel proved most impressed by stop-motion film ‘Abducted by Aliens’, the work of third year BA Animation students Ida Melum, Kyle Cunningham, Adara Todd and Nicole Smith, with voices by Shenoah Allen and Mark Chavez. 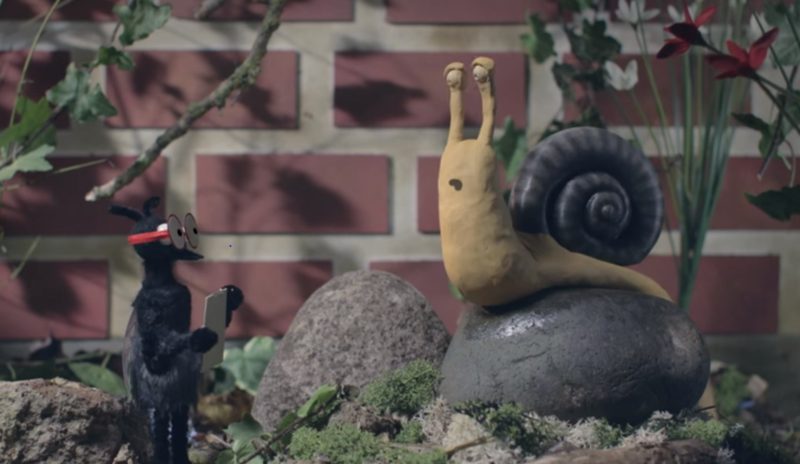 The film is set in a garden and features an animated snail which maintains that it has been abducted by aliens. The judging panel also included BAFTA-winning animator Marc Crast from Studio AKA and Jason Fletcher-Bartholomew, Senior Animator at Aardman. Films were assessed for their directing, production, animation quality and script. “We couldn’t be more thrilled,” said Adara Penelope Todd on behalf of the winning Middlesex team. “We are beyond excited our film won against so many other great animations and want to thank everyone involved in the decision! View the winning film, as well as the other submissions, here.